The future had a chance to shine Sunday, as two Yankees prospects represented the organization in the 2017 Futures Game. Outfielder Estevan Florial, currently at low-A Charleston, had two plate appearances for the World team, striking out once and walking in his second appearance. Pitcher Domingo Acevedo, joining the World team from the AA Trenton Thunder, had a bit of a rough go of it in the spotlight, allowing three runs and four hits in his one inning of work. Matt Holliday is currently rehabbing in AAA with Scranton/Wilkes-Barre. In two games he has gone 3-8 with an RBI. 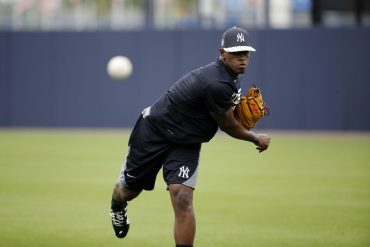 He should be ready to return to the Yankees after the All-Star Break. Ji-Man Choi had the chance to return to “The Show” this week, arriving in style with home runs in each of his first two games as a Yankee. The 26-year-old Korean first baseman hit .289 with eight home runs and 43 RBI in 56 games in AAA this season. This week, for our player profiles segment, we’ll be focusing in on four outfield prospects who have been refining their game in the farm system. 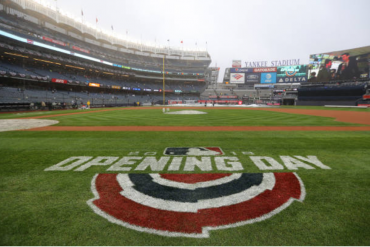 With the arrival of Aaron Judge and high-level prospects like Clint Frazier, Blake Rutherford, and Dustin Fowler waiting in the wings, the Yankees have impressive minor league depth in the outfield. While all four of the prospects to be profiled are on different trajectories and some have more upside than others, each has been making it work thus far in the higher levels of the minors. 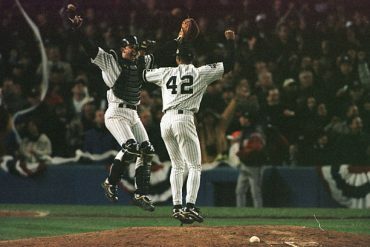 Depending on what happens, at least one of the four names below could be in the Bronx this year. 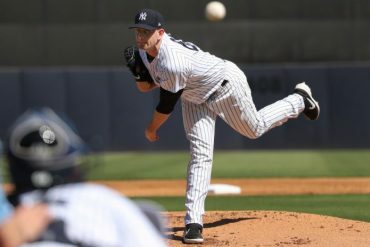 Jake Cave- OF- Scranton/Wilkes-Barre (AAA)– The 24-year-old Cave, pictured above, was once a top prospect in the Yankees organization, but some struggles in the high minors paired with the deepening of the system has pushed Cave to the back burner. Cave had a career night Saturday, however, posting his first two-homer game and adding a career-high five RBI. The longtime prospect is hitting .326 in 23 games since his call-up to AAA and is riding a six-game hitting streak. 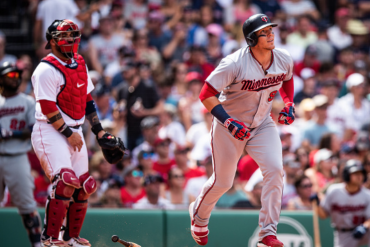 Cave has made one significant change to his game, as his power, which once allowed him to reach the gap but not clear the fence, has a career-high 12 home runs in just 54 games this season. He has lost some speed on the base paths, declining from 17 stolen bases two years ago to just two this season. Nevertheless, Cave’s newfound power, paired with his ability to get on base (he has a .341 on-base percentage on the year), could be his path to some major league playing time later this season. Billy McKinney- OF- Scranton/Wilkes-Barre (AAA)- Like Cave, McKinney is another top prospect who has turned it around lately. After posting a .505 OPS for Trenton in April, he boosted that number to .778 in May and .971 in June before earning a call-up to AAA. In 10 games with the RailRiders, he has posted a staggering 1.228 OPS to go with four home runs. McKinney was a top center field prospect in both the Athletics and Cubs organizations, earning high marks from scouts when he played in the lower levels of the minors. He scuffled, however, in 2016, hitting .246 with just four home runs, and has since moved to the corners. McKinney seems to have warmed up with the weather and may be peaking at just the right time. With all of the top outfield prospects already in the Yankees system, McKinney may be a prime candidate to be moved in a trade to help the major league squad. 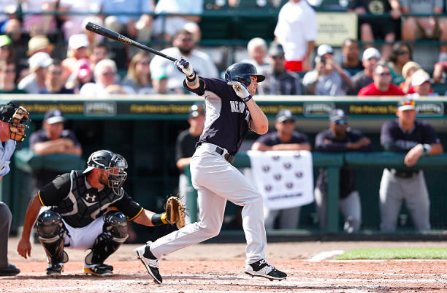 Zack Zehner- OF- Trenton (AA)– Zehner, an 18th-rounder in the 2015 draft, has been a fast mover in the Yankees system. Assigned to Trenton out of camp, Zehner has been a consistently good hitter for the Thunder, batting .281 with a .387 on-base percentage. He has just five home runs but his power allows him to accumulate extra base hits, as he has 23 total so far this season. Two of Zehner’s home runs, however, have come in his last six games, so he may just be tapping into his power potential. At 6’4” and 215 pounds, he has the size and strength to become a more productive power hitter. It also has led to him consistently playing in both corner outfield spots. Where Zehner shines most, however, is in his ability to get on base. He has 45 walks this season, which has helped him post an on-base percentage significantly higher than his batting average at every level as a professional. His standard stats may not stand out, but his ability to reach base makes him a more valuable prospect in the modern age. Tito Polo- OF- Trenton (AA)– The 22-year-old Polo has been on fire since his call-up to Trenton, hitting .500 with a home run, 14 RBI, and five stolen bases in eight games. Before his call-up, Polo hit .283 with Tampa, including four home runs. The young Colombian came over near the end of last season from the Pirates organization and showed some power with them as well, belting 16 home runs last season to go with 37 stolen bases. 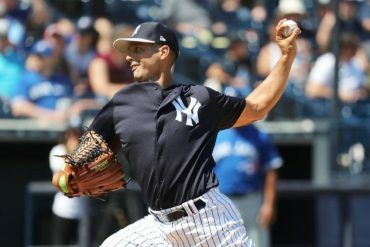 At the plate, he does not draw too many walks, as his career rate is under 10 percent, but he has also kept his strikeouts in check, whiffing in around 20 percent of his plate appearances. Defensively, Polo is a prospect who may have the speed and range to stick in center field, as evidenced also by his 24 stolen bases in 30 attempts between Tampa and Trenton. Given that he just earned the promotion to Trenton, it may be at least a year before we see him get a shot at the majors, but he is an under-the-radar prospect worth keeping an eye on.